Does your family have history of Attention Deficit Disorder with or without Hyperactivity (ADD or ADHD)? Do your relatives have a history of anxiety and depression? If they do, that means that you or your children have a genetic predisposition to these illnesses. In other words, there is a chance you or your child may develop this, but it is not 100% certain. Genetics are only one piece of the puzzle in the majority of cases. In general, for a disease state to occur there must be Triggers like chemicals, viruses, bacteria, drugs, sugar, etc AND Mediators. Mediators are how the person responds to the triggers based on the the underlying health and psychosocial issues (family, work, stress, support). So for example, let’s take a child who has the ADHD gene. He is constantly eating sugar cereals, crackers, pasta, and drinking sports drinks. His school setting is a poor fit, there is marital discord, and he plays video games all the time. This child is at a high risk of developing ADHD. 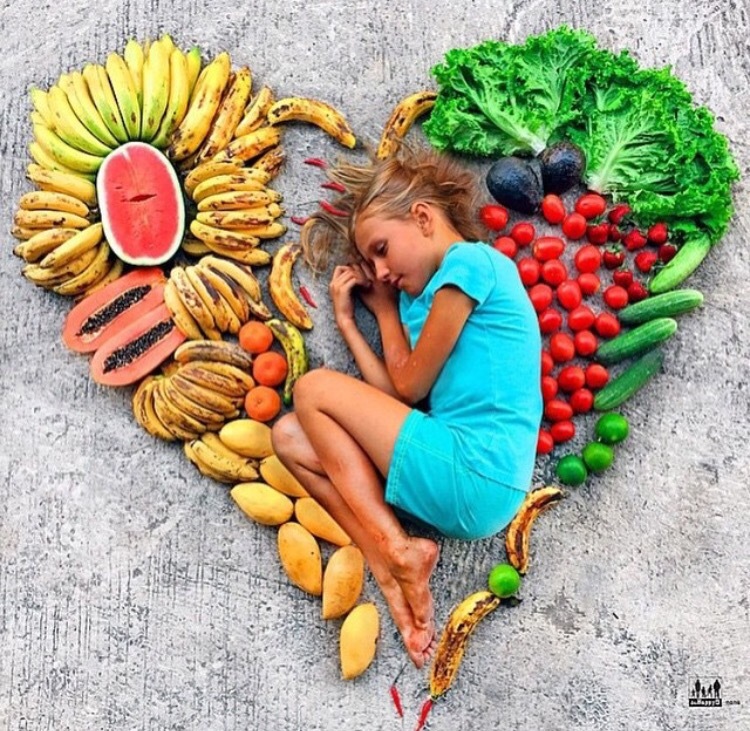 Now lets look at the same child (mine) with the same genetic footprint who eats fruits and veggies at all meals, protein rich foods, has an organized schedule, plays or works out outside daily, sleeps well, lives in a stable household, and has limited electronic use. This child will show significantly less symptoms of ADHD then the aforementioned child. In this blog I discuss some of the triggers we encounter every day and how they can affect mental health. Prenatally exposed kids to pesticides were followed for 7 years and the exams showed an overall decrease in development and increased behavioral issues at 2yrs and at 7 yrs. A a 2006 study, showed that urine levels of pesticides were dramatically reduced by 89% in children who were placed on an Organic Diet for just one week (diet was 80% organic). This illustrates, that the pesticide levels found in children’s urine were directly correlated with their diet. Here are a few graphs to help illustrate the point. With the rise of Glyphosate use (Round Up especially, but not excluding other synthetic herbicides and pesticides, there has been a rise in Autism, ADHD, sleep issues => mental illness, anemia =>neurological issues. Footnote for accuracy – Organic Farming leaves the impression that no herbicides or pesticides are used. The fact is organic farmers, based on FDA recommendations, use some “naturally derived” herbicides and pesticides, however these “natural ingredients” have not been tested for illness/carcinogenicity. They generally do not use synthetic products shown to have adverse health outcomes. Unfortunately, some synthetic products are allowed in organic farming here is the link: FDA regulations on organic farming They also use mechanical ways to rid the crops of bugs and weeds, such as traps, beneficial bugs, or weeding by hand. Genetically Modified Crops are a Major Hazard to Human Health because of the implications of Herbicides and Pesticides. In the past 20 years, GMO Crops have increased dramatically. Currently, 80% or row crops in the US are GMO. The science behind GMO is driven by money. GMO crops are made to be resistant to weed killer and resistant to pest killers. So when farmers treat the crops for pests and weeds with lots of chemicals, the plant can survive. The easier it is to grow crops, the more money the farmer makes. Over time, as GMO crops have become more prevalent, disease and weeds have become resistant to weed and pesticide killer. This has led to a marked and dramatic increase in herbicide and pesticide use on the plants. ( EPA standards as of 2013 ) Guess who sponsors and produces most of the GMO seeds/crops??? The weed and pesticide killer company – Monsanto, the maker of Roundup. Majority of GMO crops are corn, cotton, and soybeans, see above for more. The more herbicides/pesticides used on crops, the more they leach into the water source that we drink. The more they leach into the soil and water, it evaporates into clouds, and comes down as rain. Hormones and antibiotics helps animals grow faster on diets that are poor and in conditions that are generally horrible. Due to hormone exposure, cow utters get infected more often, thus requiring more antibiotics. Due to gross crowding conditions, the animals get sick more often, necessitating in antibiotic use. Hormone and Antibiotic use in animals is banned in All European nations, Australia, New Zealand, and Japan. Arsenic used in raising conventional chicken and cattle has many consequences to human health. STOP USING ROUNDUP IN YOUR YARD!! Eat a rainbow of fruits and veggies every day at every meal. Start slow and build on it. Organic produce contains fewer pesticide residue then conventional produce. Despite many studies, there is no good method to wash pesticide residue off fruits and veggies. Organic meats prohibit the use of hormones and non-therapeutic use of antibiotics. Organic meat cannot have arsenic enhanced feed. 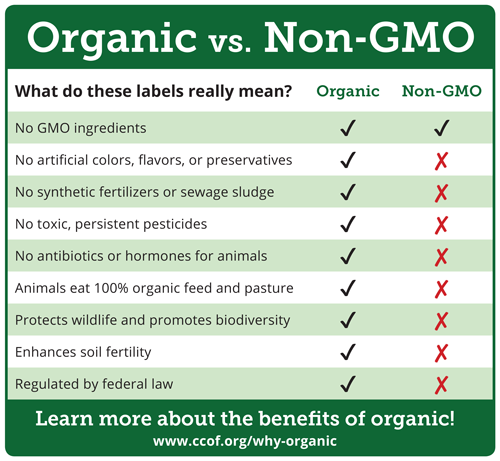 Organic products cannot contain or be made of GMO crops. Pesticide free is only addressing the pesticide issue. Organic farms are regularly inspected and have to pass numerous tests to be certified and to keep their certification. The cost of Organic Products is so high! Choose organic meats, dairy, eggs – less hormones, antibiotics, arsenic! More omega-3! 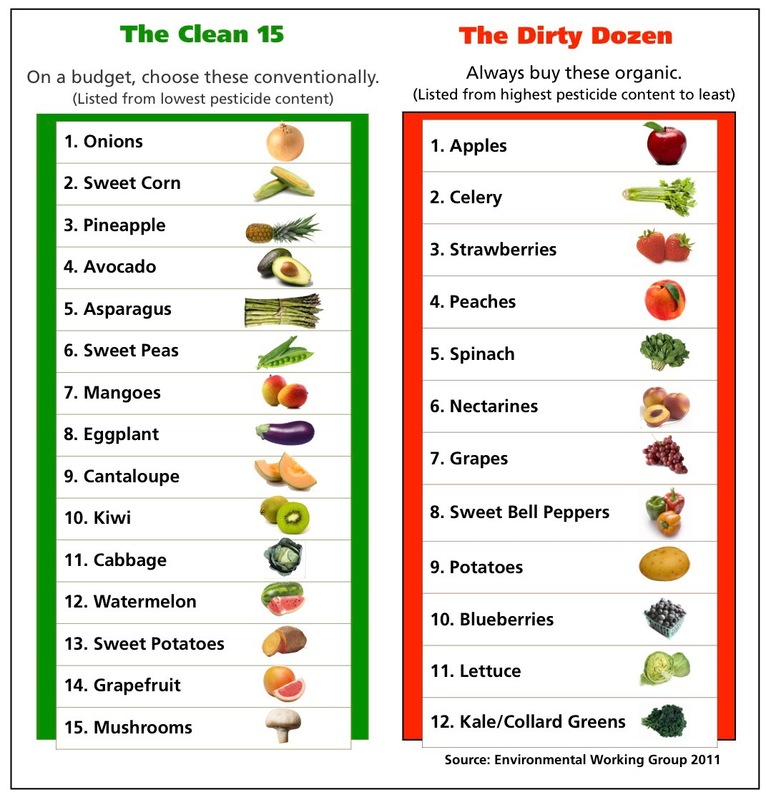 Choosing just organic produce on the Dirty Dozen list can reduce pesticide exposure up to 90%. Organic meats, dairy, eggs, and produce can be found more and more at large whole sale warehouses such as Costco. Target is exponentially enlarging it'(s organic section. Trader Joe’s has great deals on great products. My 2016 Organic Price Breakdown for Charlotte NC. The difference is not as big as you might think! Shopping at farmers market for items that are in season will reduce costs. Stop buying junk such as Soda, Garode, Juice, and Powerade and use the savings from these products to buy organic. Remember water is free. Water has no food coloring, another trigger for ADHD symptoms. Replace Doritos, Cheetos, Cookies with fruit and veggie snacks. Organic frozen fruits and veggies are cheaper then fresh ones. Once you cut up fresh organic fruits and veggies for your meals, freeze the rest to use at a later time. You can freeze, dehydrate, or can various in season produce for later use. In summary, is it worth it? Let’s start looking at the benefit of investing now in good food to prevent disease later on. We all have genes that are waiting to cause trouble. You choose if these defective genes get to express themselves. If you add up the costs for medical visits, antidepressants, stimulant meds, antibiotics, labs, imaging, and therapy and then compare those costs to the cost of organic food, you will have your answer. We need to look long term at the benefits to us and our children, and start making some changes today.